Shame sizzles like an energetic rash leaving skid marks on your psyche when left unchecked. Learning to receive the sacred medicine of shame transforms you from the inside out and empowers you in exquisite ways. There are two kinds of shame: healthy shame and unhealthy shame. Both have medicine to offer, but they hold different teachings within them. Healthy shame rises when your inner morality kicks in and lets you know you’ve done something that is not in sync with your true nature. Maybe you lied, cheated, manipulated or blew up at someone unnecessarily. Your natural shame would give you an emotional response, letting you know that wasn’t okay, thus giving you the chance to correct your behavior and make it right. The sacred medicine of healthy shame comes from your ability to own your mistakes and learn from them. It is empowering to be able to learn and grow from mistakes. There is another kind of shame that is a tougher pill to swallow, but offers an even deeper transformational invitation. Unhealthy shame goes beyond your behavior and ropes you into believing that you yourself are wrong or flawed. Unhealthy shame tells you that it isn’t just your behavior that’s bad, but YOU are bad. Unhealthy shame traps you in an impossible loop that has you spinning with no resolution. It’s like a Zen Koan… if you are bad, how can you make that right? Unhealthy shame comes from experiences in your life that left you feeling unloved, unwanted or harshly judged. From those experiences, you drew the conclusion that there must be something wrong with you and you must be bad to deserve those experiences. 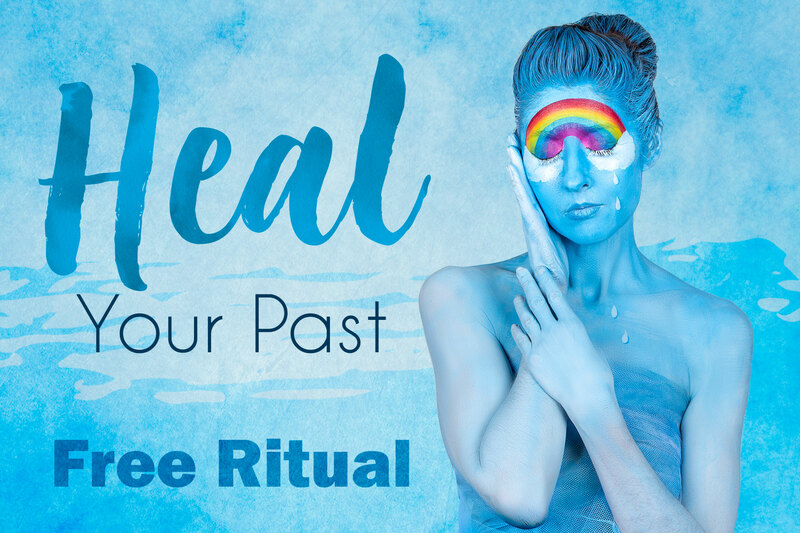 So let’s look at the sacred medicine that is available within unhealthy shame and explore how you can transform those unpleasant feelings into a beautiful opening. Unhealthy shame is always an invitation to deepen your connection with your Higher Self (ie. God, Spirit, Divine, Universe). Since the source of unhealthy shame comes from the concept that you are somehow flawed, you’ll have to take this up with a higher authority to find out the truth. Receiving the sacred medicine of unhealthy shame is about opening to a higher authority so you can be seen through the eyes of love. In order to deepen your connection with your Higher Self, you’ll have to unhook from co-dependency patterns that cut you off from your power. When you’re co-dependent you’re looking to someone else to determine your value, your worth and your sense of self. Receiving the sacred medicine of unhealthy shame is about understanding where your true power comes from and letting yourself be fed from the right source. Rather than resting in the roots of false beliefs, unhealthy shame challenges you to clean up your beliefs. Stop settling for a past story to be the leader for your present life. Stop settling for someone else’s point of view to cloud your own perspective. Stop settling for anything less than your true power. Receiving the sacred medicine of unhealthy shame is about claiming your true value and putting your truth back in the drivers seat. I’ve just added a Bonus Ritual to the You Are Enough Course to release unhealthy shame from your system so you can open space for your true beauty to blossom. Unhealthy shame is surely at the root of these unhealthy beliefs! 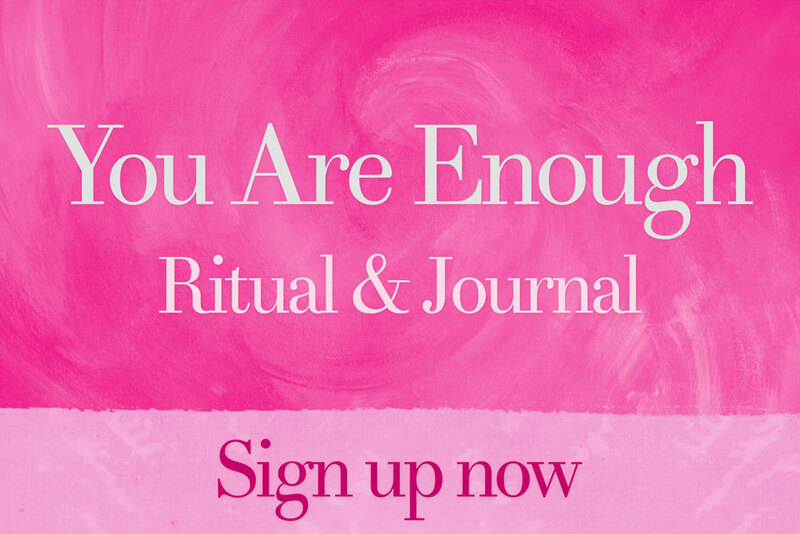 Get all the details about the You Are Enough Course along with the Bonus Ritual and enter the next chapter of your resplendent radiance! Get all the details and sign up for You Are Enough. Shame can be a challenging emotion to process, but when you give yourself permission to embrace the sacred medicine of shame, your life transforms in miraculous ways! Share your thoughts about “The Sacred Medicine of Shame” in the comments below. Inspire someone today! Share “The Sacred Medicine of Shame” with your friends.